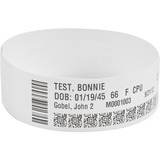 Z-Band Direct is a premium direct thermal wristband that provides automated ID verification for hospitals and other facilities seeking to boost efficiency and accuracy. Meets healthcare patient ID and safety goals (JCAHO) by eliminating the risk of data left on ribbons (HIPAA) and preventing medication and blood transfusion errors (FDA). 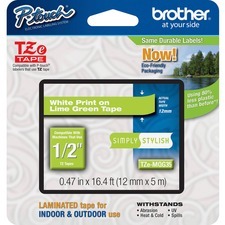 Product Description: Zebra Z-Band Direct, perforated polypropylene permanent acrylic adhesive wristbands, 1200 pcs.